These retail style clear DVD cases work perfectly with SureThing DVD case inserts. Give your DVDs packaging that dazzles! Use SureThing CD/DVD Labeler to design and print DVD case inserts and labels. 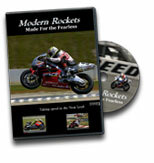 Store your video, audio, graphics, and data with reliable Verbatim DVD-R discs. New! DVD Case Inserts are perfect for printing and inserting into retail style DVD Cases. They're made with high-quality Super Vibrant Matte card stock for superior printing.